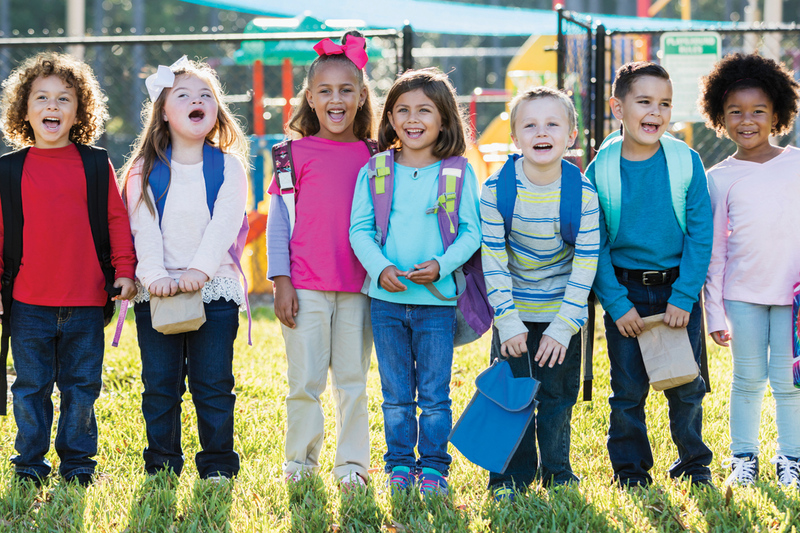 Inclusive school communities are educational settings in which students with disabilities have opportunities to participate and receive support in all aspects of school life alongside peers who do not have disabilities. In an inclusive system, special educators, specialized instructional support personnel, general educators, and other education personnel work together to address the needs of students with disabilities. By collaborating, these educators better support the learning and participation of all students. Furthermore, research demonstrates that a learning community is better, richer, and more effective when students with disabilities are full participants. The precedent for inclusive education was set in the Least Restrictive Environment (LRE) clause of Public Law 94-142, originally passed by Congress in 1975. The most recent version of this law, known as the Individuals with Disabilities Education Act (IDEA), was enacted in 2004. 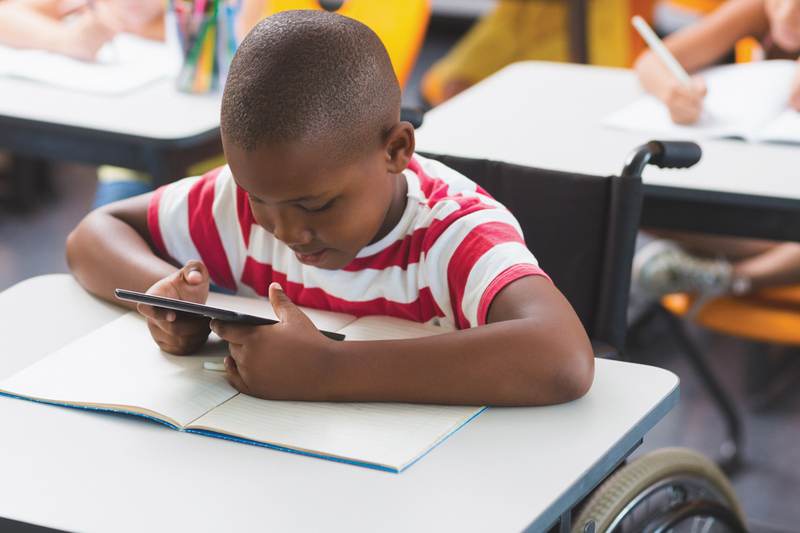 Although many strides have been made in realizing the intent of the law, schools often still treat inclusive education as a new and challenging way of supporting students with disabilities. 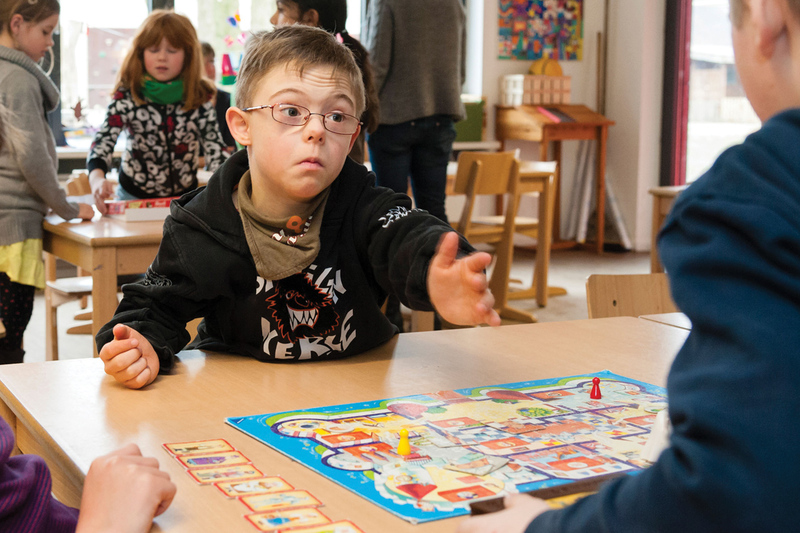 Too often, separateness and exclusion can define the educational experience, particularly for students with the most significant cognitive disabilities. 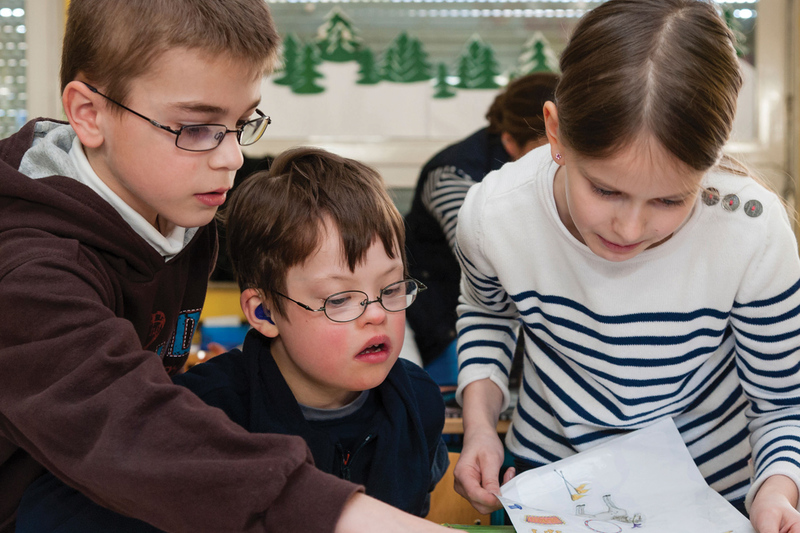 Despite the slow rate of implementation and the challenges involved, educators, students, and families have found many compelling reasons to support inclusive education for students with and without disabilities. Here are 10 of them. Like all students, those with disabilities have the right to attend regular schools and general education classes. Inclusion is a civil rights issue. In a democratic society, every person is to be afforded equal opportunities; segregated settings and marginalization from mainstreamed American experiences symbolize society’s rejection of a segment of the population. 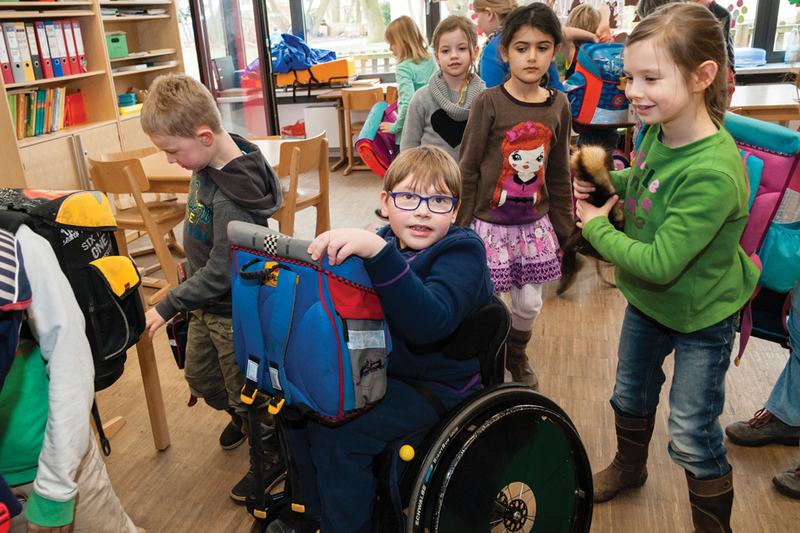 Participation in inclusive schools and communities provides students with and without disabilities the experience of a society that values and includes all its citizens. related article Why Special Education is a Civil Right: A special education teacher shares her ideas about why special education, in general, and inclusion, specifically, is a civil rights issue. related article Inclusive education: Lessons from history: This article gives a brief history of how education moved from exclusion to inclusion, and why inclusive education is a civil right. A primary goal of K-12 education is successful integration of individuals with disabilities into postsecondary education, community living, and competitive employment. Inclusive practices are predictive of better post-school outcomes in adulthood. Segregated and homogenous educational settings do not lead to integrated, heterogeneous community life. By growing up and learning together in school, students with varied abilities, interests, and backgrounds experience diversity as a community norm. Many people in our society have misconceptions about persons with disabilities. The best way to overcome these misconceptions is to bring people with and without disabilities together in shared activities. Inclusive schools provide the opportunity for all students to develop the attitudes, values, and skills needed to live and work alongside others in a diverse society. related video Ruby’s Inclusion Story: Ruby, a young girl with Down Syndrome, is a kindergartener in an inclusive classroom. related video Together We’re Better: This video features students from diverse ethnic, linguistic and ability backgrounds who attend the Henderson Inclusion School discussing why we are better together. Belonging is a human need for all people. However, the practice of sorting, tracking, and separating students is still institutionalized in much of public education. This is especially the case for students with the most significant cognitive disabilities, in spite of IDEA’s legal presumption that an education in the general education classroom is preferable for all students. An education in more restrictive environments (less time with nondisabled peers) should only occur under the law if the student cannot be satisfactorily educated in the general education classroom even with supplementary aids and services. An inclusive approach to education challenges practices of separating students and their underlying assumptions. As educators become more successful implementing inclusive practices, fewer students are at risk for experiencing segregation and its potentially devastating effects on learning. By attending their local schools and being included in all aspects of general education life, students with disabilities are included in the communities where they live and can make friends and learn with other children. 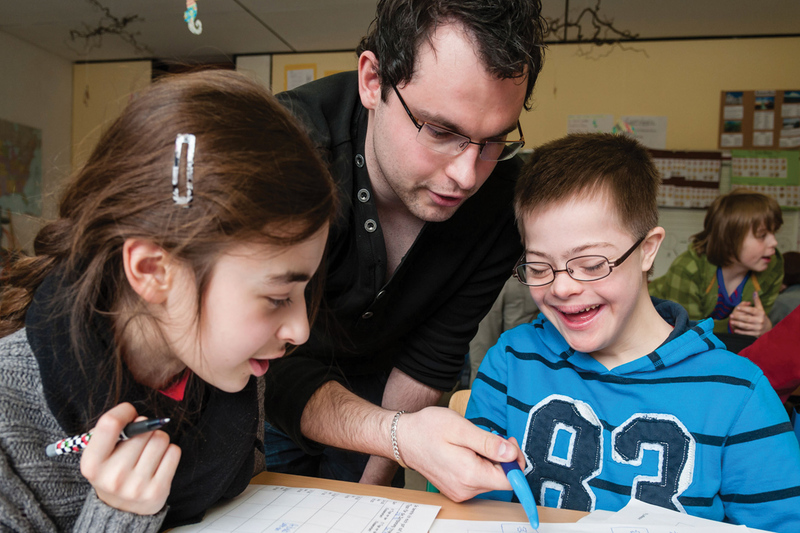 Inclusive education promotes a positive school and postschool climate for students of all abilities and backgrounds. related video Inclusion: Ruby’s Story: This video is about a girl named Ruby, who has Stromme Syndrome. Ruby’s mom shares her initial hesitation about inclusion, and how her daughter has developed friendships and found a place in her elementary school. related article Belonging and Inclusion in School: This article discusses the importance of belonging for young people, and how it positively impacts children. Inclusive educational settings offer many varied opportunities to grow socially and academically. There are a wide range of curricular opportunities in general education that cannot be replicated in a separate system of special education. This is important because both IDEA and the Every Student Succeeds Act (ESSA) require that all students, including students with disabilities who take alternate assessments (i.e., those with the most significant cognitive disabilities), should be included in and make progress in the general education curriculum for the grade in which they are enrolled. All children grow from encountering a variety of experiences. 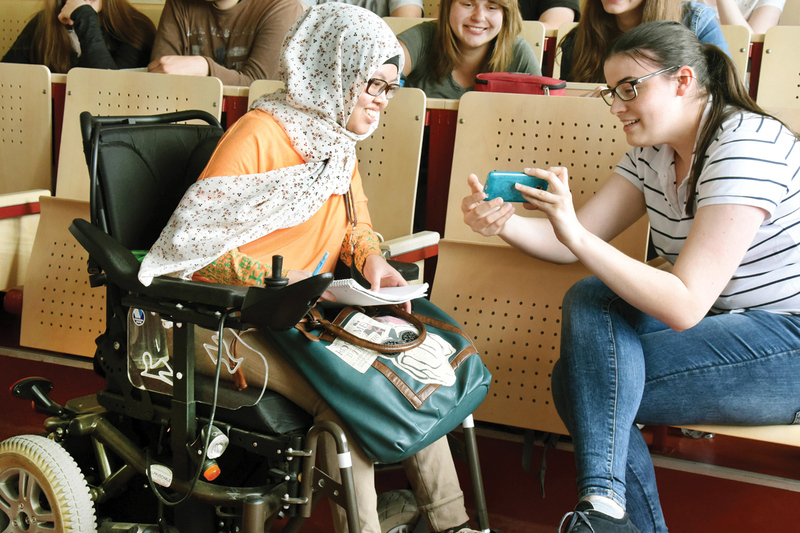 Inclusive settings also offer students many incidental opportunities to learn useful skills and repertoires, such as following typical daily routines, figuring out multiple ways to solve problems, using humor and sharing stories, and communicating effectively. 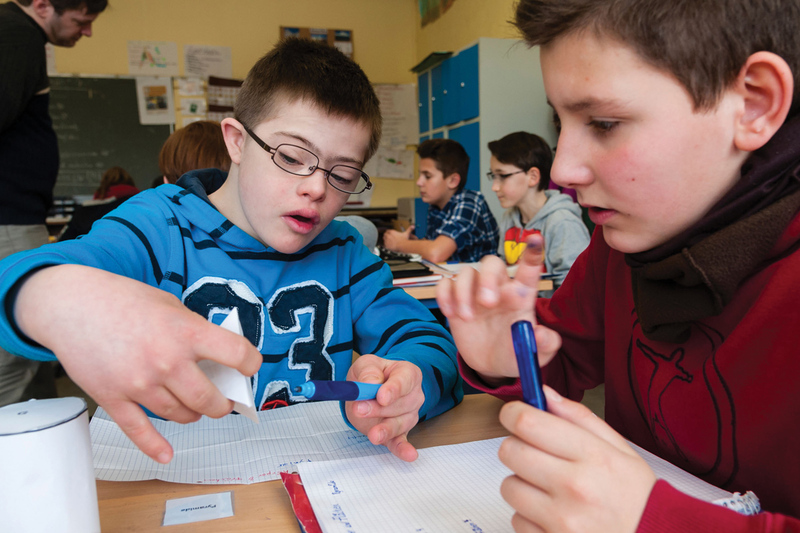 Peers with and without disabilities model and teach each other socially valuable behavior. 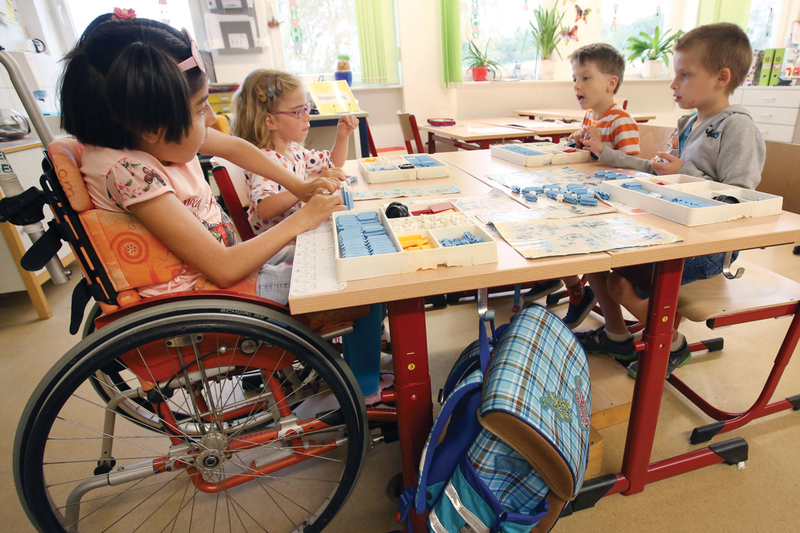 related article Inclusive education: What it means, proven strategies, and a case study: This blog post gives an overview of inclusive education, strategies for practicing inclusion, and then introduces readers to a case study of inclusive practices. 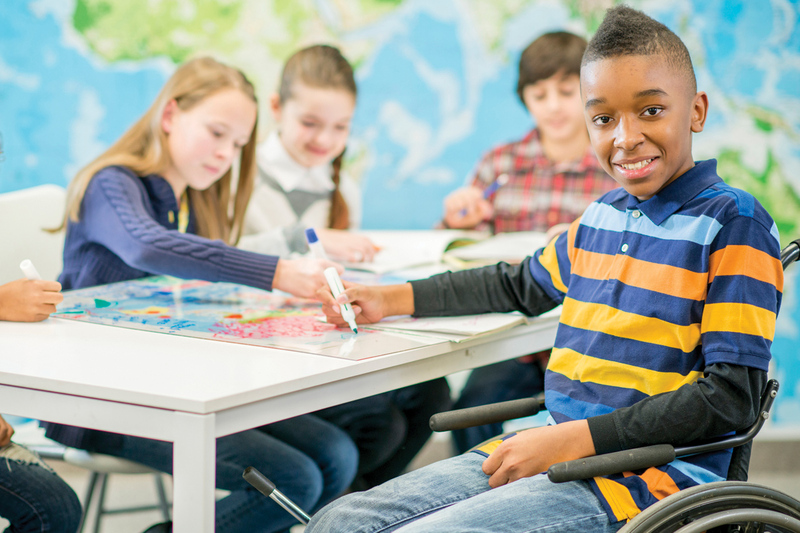 related website 5 videos that will change your mind about inclusive education: This blog post on the Think Inclusive website shares videos of students with disabilities in a variety of inclusive settings across the U.S. The Think Inclusive website also has podcasts that may be of interest. With an increasingly wide range of abilities, interests, and backgrounds in the general student population, educators are beginning to design curricula and provide instruction, materials, and assessments that meet the needs of the widest range of learners from the outset. By working together, educational team members can creatively design grade-level instruction to better meet the needs of all students. Universal Design for Learning (UDL) is a framework that can be used proactively to help guide practices so that instruction and assessments are presented in ways that permit the widest range of students to access information. Using UDL, educators can incorporate multiple and flexible means of engagement, representation, and expression in the planning stages of activities and lessons for all students. Then, if additional adaptation is needed, teachers can use Specially Designed Instruction (SDI), which is making specific adjustments based on a student’s Individualized Education Program (IEP) to further personalize learning. It is important to note that regulations for IDEA state that “a child with a disability is not removed from education in age-appropriate regular classrooms solely because of needed modifications in the general education curriculum.” Even if some changes in materials are needed, instruction must be aligned to grade-level content standards. Both UDL and SDI involve appropriately varying the ways in which individual students go about learning. They may also involve students demonstrating different ways of understanding the main concepts. For example, when learning how to use details in a text as a first step in understanding inferences, students may work with text written at different levels. When the class is studying one text, such as reading a common novel, teachers could provide multiple options for the students to access and understand the novel, such as the traditional text, an interactive novel with text-to-speech and a built in bilingual dictionary, or a graphic novel. SDI might also include adapting the text into a summary with a reduced reading level and having a peer read the passage aloud, and then having the student work with the peer to use a word bank with pictures to fill in a graphic organizer that identifies explicit details. The main concept of finding details in the text as a first step to supporting inferences would be the same for all students, but the instructional approach would differ, and performance expectations may differ. Introducing these types of instruction expands the variety of instructional approaches and results in increased learning for all students. related website Tar Heel Reader: Tar Heel Reader is a free resource for thousands of accessible books. The Center for Literacy and Disability Studies also has great resources under the Projects and Resources menus. Students can also write their own books on the site. related document Top 5 UDL Tips for Fostering Expert Learners: This printable shares the Top 5 tips for fostering expert learners in the UDL framework. related website PrAACtical AAC website shares resources for making and using adapted books to make literacy more accessible. The blog post links to a variety of resources and handouts to help teachers, parents, and service providers make books accessible to all students. Students with disabilities may require an educational program that is individualized for most of the school day. This is done by first identifying the priority learning objectives for an individual student with disabilities that will help the student make progress in the general curriculum and using these as goals in the student’s Individualized Education Program (IEP). Then it is critically important to carefully determine the times, places, and activities in which the IEP goals can be addressed in the general education environment alongside their peers without disabilities. In this way, the IEP for a student with disabilities meshes with the instructional goals of peers while still meeting individual educational needs. The natural flow of productive interactions and learning in general education environments makes them ideal places in which to expect active student participation and high levels of student accountability for their performance. Students with disabilities can practice skills in these supportive learning contexts even though specific goals and objectives aligned to the grade level content may vary greatly among students. related publication The IEP as a Living Document: A New Narrative to Drive Inclusive Communities: This issue of TASH Connections includes eight articles about inclusive education. Some of the topics include functional communication, co-teaching, creating standards-based and inclusive IEPs, and other topics. related video The Least Dangerous Assumption: In this video, an assistive technology trainer from Loudoun County Public Schools talks about the “least dangerous assumption.” Although he talks with technology usage in mind, the concept is helpful to anyone working with students with disabilities. Inclusive learning environments provide students with and without disabilities many opportunities to establish relationships with their peers. Such relationships form the beginnings of friendships that are a source of fun and enjoyment, and an essential source of emotional support during challenging times. When considering what contributes most to one’s quality of life, “friends” often appears toward the top of the list. Therefore, the opportunity to connect with a diverse group of peers is an important outcome of inclusion for all students. related video Voices of Friendship: In this video, friends demonstrate how to support one another to achieve real and reciprocal friendships. related modules Step-by-Step Training on Implementing Peer Support Arrangements and Peer Networks: In these two modules, Dr. Erik Carter introduces Peer Networks and Peer Support Arrangements in schools. These modules are especially appropriate for viewing and discussing as part of professional development training. related toolkit Making Friends with and Without Disabilities in School: A Toolkit for Teachers, Paraprofessionals, and Parents: The Making Friends in School Toolkit created by Dr. Zachary Rossetti helps teachers, paraprofessionals and parents learn how to facilitate relationships between students with and without disabilities. The toolkit includes strategies at all grade levels, from elementary school through college. In inclusive schools, resources—especially instructional personnel—can be leveraged to create more effective and efficient learning opportunities for all students. When students with disabilities are educated in general education classes, special educators and specialized instructional support personnel provide support in those settings. This results in general education teachers and students having additional expertise more available. For example, additional personnel can result in smaller instructional groups during language arts and math, which allows for more frequent and individualized interactions between teachers and students. In addition, general educators have often remarked that their instructional repertoire has expanded as a result of team-teaching with special educators. In this way, special educators and general educators support each other in meeting the educational needs of all children. related article What is Co-Teaching? An Introduction to Co-Teaching and Inclusion: This post discusses co-teaching and partnership responsibilities. It introduces different co-teaching models and talks about implementing co-teaching in the classroom. related website Co-Teaching Tools and Resources: This website provides an overview of co-teaching, and links to a related webinar. A cornerstone of effective special education has always been collaborative teamwork. An inclusive approach to service provision requires an even greater amount of collaboration among an even greater number of education professionals. Teamwork not only results in improved instruction for students, it also brings about increased esprit de corps and support among a critical mass of educators in a school building. Positive working relationships and a sense of shared responsibility for students are now recognized as cornerstones of successful school-wide improvement efforts. Relationships established among staff involved in creating inclusive learning experiences can support such initiatives, resulting in increased learning for students throughout a school. related video Tenets for Teacher Buy-In: General and Special Education Teachers Working Together: In this video, Michael Remus presents about general education and special education teachers working together. related website Lynda’s Top 10 Ideas for Collaboration Between General and Special Education Teachers: This website shares ten tips for collaborative teaching between special education and general education teachers. When children with disabilities are included in their local schools, their parents can participate to a greater extent in that school and in the community where the school is located. Parents of included students can be a part of a support network of parents of other children with disabilities, as well as parents of children without disabilities. Such support is more difficult to access when a child’s school is a long distance from home or when families do not feel welcome. related website Trusting Family Partnerships: This website provides films and discussion guides about family partnerships and including families in school decision-making teams and leadership roles. related website Maximizing Academic Access, Expectations, and Learning: This website has information on including students in academic settings, and how to meet their needs academically. The site also has many parent support materials. Vandercook, T., Sabia, R., Shopa, A. & Lazarus, S.S. (2018, November). 10 reasons to support inclusive school communities for ALL students (Brief #1). Minneapolis, MN: University of Minnesota, TIES Center. This Brief is an update of a document with the same title that was published in 2003 by the Institute on Community Integration, University of Minnesota. The authors were Jennifer York-Barr and Terri Vandercook. TIES Center is led by the National Center on Educational Outcomes (NCEO), and partners with Arizona Department of Education, CAST, University of Cincinnati, University of Kentucky, University of North Carolina – Charlotte, and University of North Carolina – Greensboro. The University of Minnesota is an equal opportunity employer and educator.